I’m sure everyone will agree that the English have Christmas pudding down pat. A warm, moist cake bursting with brandy and rum, studded with candied fruit, raisins and currants, and spiced with cinnamon and nutmeg. And to make things even better, a bit of brandy butter or custard! In contrast, the Lebanese do not have a Christmas pudding, but I thought that sfouf would make a fine cake for the festive season. 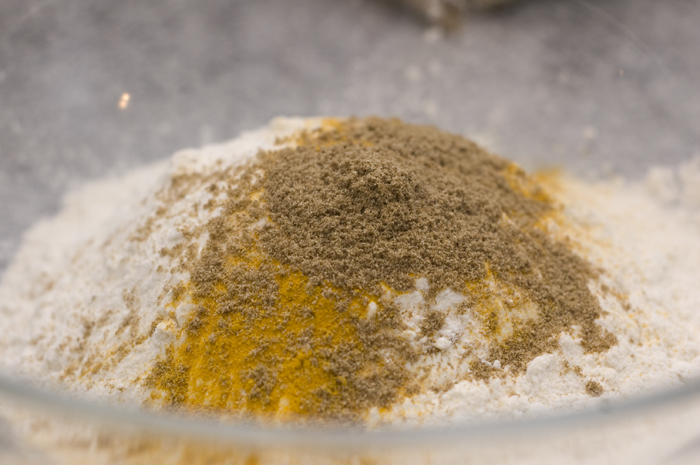 Though much lighter, and indeed drier than a Christmas pud ought to be, sfouf gets its distinctive color from tumeric, which along with aniseed gives it a distinctive flavour. It’s this spicy combination that in my mind makes it Christmasy. My British friend Daniel – whose taste buds were shot off in the war – recalls eating this cake prepared by his Lebanese neighbours in London. He hated it, and in consequence has little regard for Lebanese food. I maintain that Daniel’s neighbours must have not known a good sfouf recipe. The cake is simple and fragrant. But don’t expect a moist cake; this one is on the dry side and is perfect with a cup of coffee or tea. 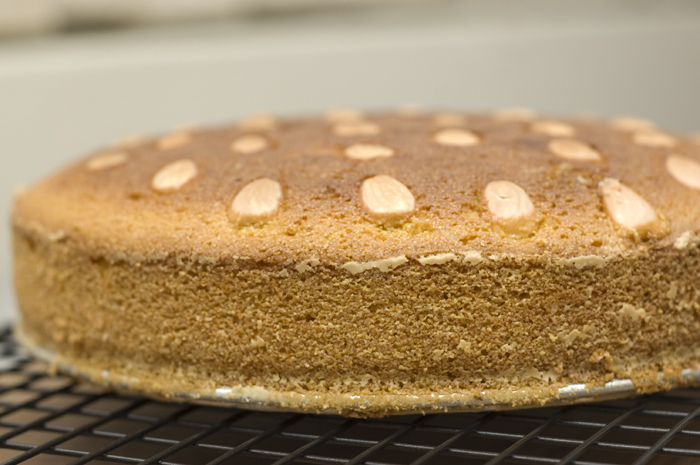 how good does the cake looks with those lovely golden almonds? In Lebanese, sfouf means “rows”, which I believe is in relation to the way it is cut on the baking tray. The best sfouf I’ve ever had was in the city of Sidon (Saida), from a street cart pushed by an old man. This travelling patisserie only sold sfouf and nammoura, another beautiful dessert. From what I understand, the old man had been selling these cakes all his life. At some point, he had made enough money to open a shop, but he left that to his kids to run, as he preferred pushing the cart in the open air and speaking to old friends. 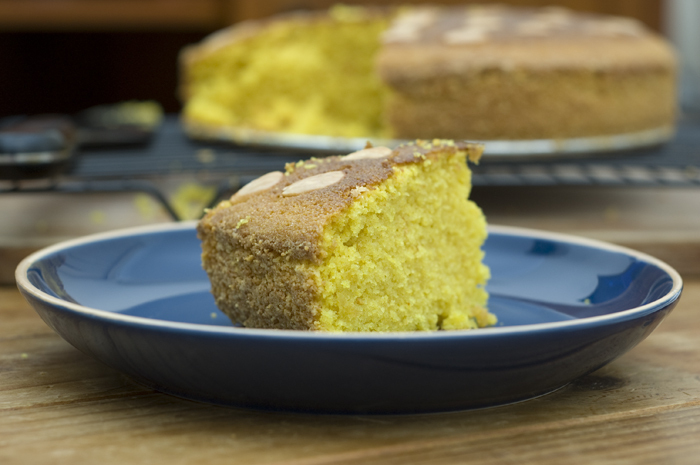 And as the old man walked through the busy streets of Sidon, people would flock to buy the fresh, aromatic, yellow cake. One of my favourite things about this cake is the use of tahini to “butter” the tray or cake tin. It gives the edges a beautiful crunch and nuttiness. For an authentic experience, do not substitute the tahini with butter. This recipe is adapted from Chef Ramzi. Bake the cake for around 30 or 40 minutes (depending on the thickness). Your photo makes me want to have some sfouf again! Have you tried it with debs? By the way, are you able to get some sharab el-toot? Even here in Beirut it is getting rarer and rarer, save for some that friends who make it at home give me. I say that is an industry that needs to be revived asap! one of my favourite cakes ever, a true taste of lebanon.thanks for the post. once my aunt visited us in lebanon with a tray full of sfouf, but my mum had already made some.and after a small debate about whose sfouf are better, my sister and i had to be the judges. Tell you frankly, I really love to make cake-the simple way. Trying to make a heavily decorated enriched one takes a lot of time and effort which kills the enthusiasm at the end.This one looks very easy to make. I will surely try this. I guess I will not stop commenting on your posts. 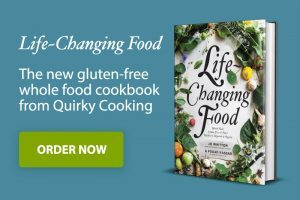 I am really really happy with the recipes. I will definitely be trying most of them soon. Mmm this sfouf thing is perfect!! I am looking for medium coarse semolina but I can’t find it anywhere. I am in perth and was wondering if anyone know where I can get some. Do I have to go to a specialized store???? thanks for the advice. Usually, we find this at Italian or Middle Eastern shops. Do you have any of those in Perth? I am gonna have a look at a Middle Eastern shops i found in the yellow pages. Hopefully they have it.